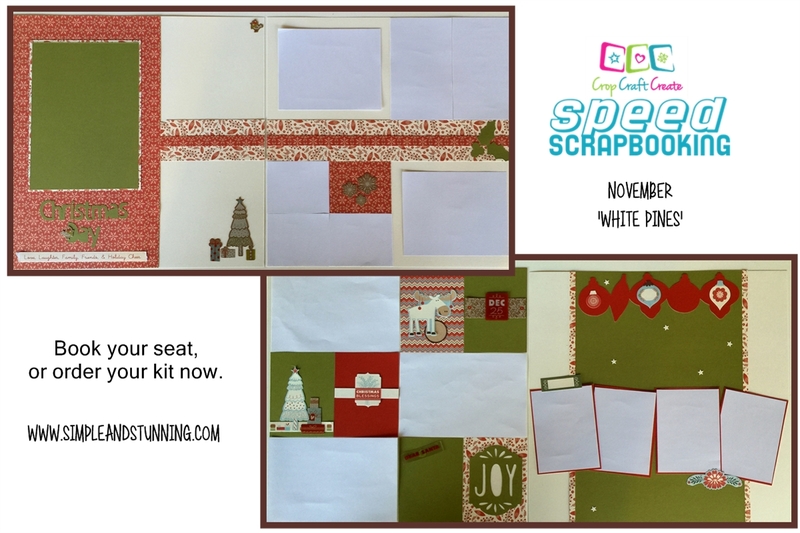 Join my Speed Scrapbooking movement – you’ll create 4 pages in just 1 hour!! It’s not too good to be true – it’s really very simple. I create two two page layouts from a designated paper pack, then I sit and cut the designs from your paper pack for each registration. So not only do you get the layouts I’ve created, but you also get all of the rest of the paper pack (there’s a lot left over), to carry on with the inspiration. If you can make the class, you’ll complete the 4 pages in one hour – but don’t worry if you can’t make the class, I’ll send you the kit, and you’ll still be able to create the 4 pages in one hour, just in the comfort of your own home. All you need is photos, a trimmer for your photos, and an adhesive. When you register for the class, I’ll send you photo size instructions, so you can come prepared, or not – it’s completely up to you. Click HERE to register for the class and/or order your kit.